His book is amazing, I have made every recipe in it and they are all awesome. I do not recommend the grain, tofu and tempeh recipes as soy and grains are highly toxic to humans…but all the veggie dishes are great. 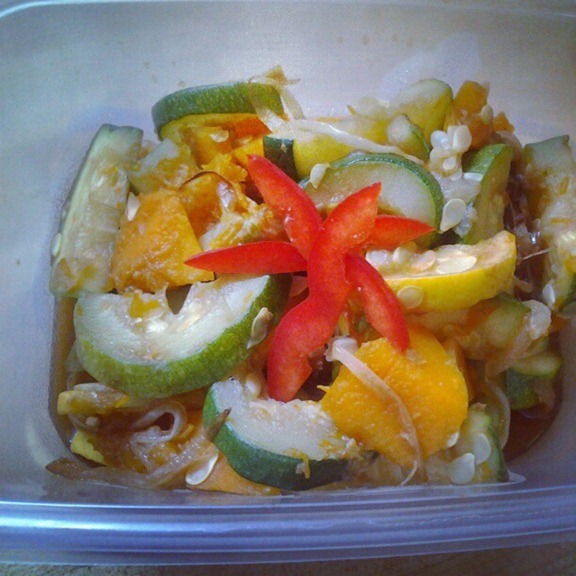 Here is a summer squash recipe you will love! 1) Sauté onions and ginger until onion is translucent. 2) Steam butternut squash until tender but not falling apart. 3) Steam zucchini and yellow squash just until tender. 4) Gently combine all ingredients. Adjust seasonings. 3) Garnish with strips of red pepper.